Joan Allen. Photograph by Carolyn Cole/Los Angeles Times/Contour. Getty Images. Joan Allen has returned to Broadway in Kenneth Lonergan’s The Waverly Gallery directed by Lila Nuegebauer in which she co-stars with David Cromer, who plays her husband; Lucas Hedges, who plays her son; and Michael Cera, who plays an interloper about whom her character seems to be trying to decide if he has sinister motives or he’s just a sad sack seeking less sadness. He will not find less of it in this family, which scene after scene, sinks deeper into its own as the mother of Allen’s character, played by Elaine May, descends into Alzheimers and emotionally disorients those around her as she herself sinks deeper and disorientingly deeper into dementia. Allen achieves a disquieting equipoise as she balances her duties as a daughter with the demands of being a mother herself. She is the dignified seam in the family ore that Lonergan’s has excavated. This is the first time Allen has appeared on Broadway since she co-starred with Jeremy Irons in Impressionism back in 2009. 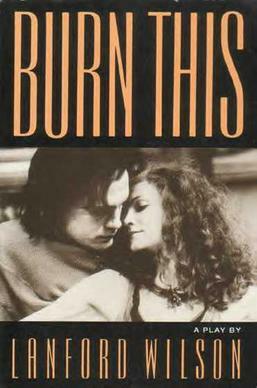 She is a creature of the stage, having gotten her start back in Chicago at the Steppenwolf Theatre and having won a Tony Award for Best Performance by a Leading Actress in Play thirty years ago for her portrayal of Anna in Lanford Wilson’s Burn This in which she co-starred with fellow Steppenwolf ensemble member, John Maklovich. It was kind of her to welcome me into her dressing room one evening before a performance of The Waverly Gallery. KEVIN SESSUMS: Why did you say yes to doing this role and this play? 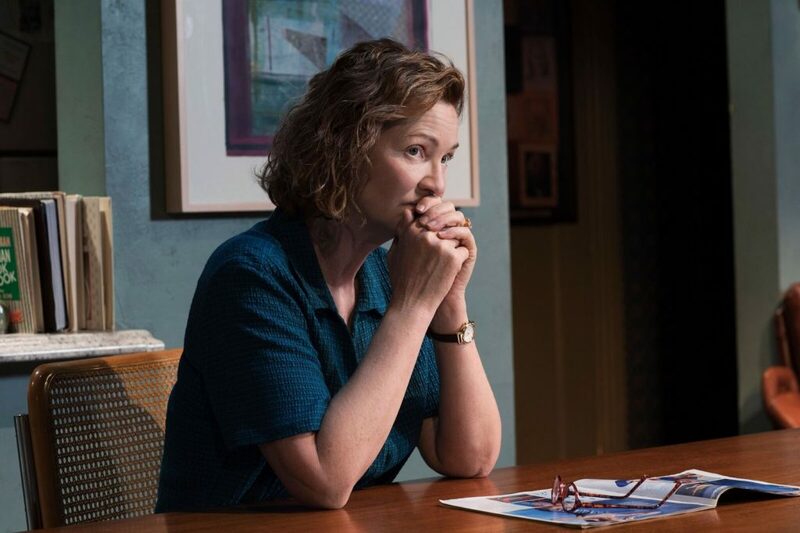 JOAN ALLEN: There were a few things. First of all, it is always the writing. My mother didn’t go through Alzheimers like Elaine’s character Gladys, but she did have dementia. She lived to be almost 97. The last couple of years she had what was like a psychotic break. She was okay one day and then the next day she was tearing things off the walls and screaming at people. But she had hearing loss like Gladys in the play, which she found very difficult to deal with and very isolating. It made her very depressed. But she didn’t have a psychotic break until this one abrupt night. I spent a lot of time in her nursing home. I am the youngest of four children. We participated greatly in her care and spent a lot of time with her. I grew up in the midwest. I saw a lot of other people in the nursing home in very stages of Alzheimers – not just through my mother’s experience. Then I met with Kenneth, whom I had known briefly, and with Lila, whom I was meeting for the first time and thought the world of her from that meeting. Plus, I had idolized Elaine May since I had first started acting. When I was first with the Steppenwolf Theatre in Chicago, we would do these little fundraising things to try to raise $500 for the theatre. One of the things we would do is go into a board member’s living room and have a tea and we would do a Nichols and May routine. I would memorize it exactly according to the way she said it. KS: Who played Mike Nichols? JA: Jeff Perry played him with him. Then, on top of all that, I had known Lucas Hedges’ father. I hadn’t seen him for many years but he was a buddy of mine in Chicago and in the ‘80s when I first moved to New York. His dad is Peter Hedges, a writer and a director. He wrote What’s Eating Gilbert Grape?. He just directed Lucas in a new film Ben is Back. I had last seen Lucas when he was a little boy. There were all these different pieces that went into my decision to do this. KS: During the performance last night when you and Lucas were alone onstage at the kitchen table together as mother and son, I began to fantasize about what plays I’d like to see you two in. There’s, of course, The Glass Menagerie by Tennessee Williams, which this play mirrors in some respects. There is O’Neill’s Long Day’s Journey into Night. God, you two would be so great as Mary and Edmund. David Cromer – who plays your husband in this – has always wanted to do a production of Sweet Bird of Youth and suggested you two could do that when I brought up the same thing with him yesterday and we were coming up with plays for Lucas and you. Have you ever done any Tennessee Williams? JA: Hmmm … did I do any in college? I didn’t do any at Steppenwolf. KS: Have you ever had any desire to do Williams? You are so great on stage, Joan. I wish you’d do more of it. Some actors are just stage creatures. You are one of them. I don’t want to fawn too much. But I saw you in Burn This and remember thinking: remember this woman, she is touched by the acting angels, she is touched by grace. I felt the same way while watching you in this play. You are so full at the end and, through you, so are we. But the play itself is an odd one narratively. I kept trying to find the arc of it. But each scene seemed to be the same scene just played over and over in some way. It was the sameness of it all that kept deepening – the deepening sameness was the arc. There was a documentary-like quality to it. Like all of Kenneth’s plays there is that aspect of it being about nothing while being about everything and our seeming to eavesdrop on recorded conversations instead of listening to dialogue. And then there is this dramatic thing you have to do. You are so busy being a daughter to Elaine’s character that you forget sometimes you are the mother to Lucas’s character – and yet when you remember to be there is a fear of how that will turn out because of how your own relationship with your mother is turning out right there before us – before you as the character. Allen as Ellen Fine in “The Waverly Gallery.” Photograph by Brigitte Lacombe. JA: Yes. It is a real balancing act. Some of things I’m sharing with Daniel, the character that Lucas plays … I think to myself, “I’m sharing a lot with this young kid about what I’m going through.” So I really pick moments when I try to protect him. It’s just these small moments because I have so much on my plate being a daughter that I try to find my moments when I can mother my wonderful son. KS: The play at times feels as if we are looking at a mountaintop excavation and it’s just the mess of it all as we are getting to the ore and there you are, within the excavation, as the seam of it. You are the seam in the ore of this narrative of familial wreckage. I guess what I’m trying to say is that there is a lot of dignity in what you’re up to in this play. Your own excavation is about dignity. JA: I think having been through this similar thing with my own mother informs my work in this. Except being the youngest of four children, we passed the baton back and forth when caring for her. But Ellen in the play is an only child. When you’re the one and there is no shoulder to lean on …. well …. my feeling is she’s my mother. KS: Did you ever think you’d be playing Elaine May’s daughter? KS: Or do you think of it that way because you are so deep into it as your characters? She’s Gladys to you, I’d think, not Elaine. JA: Well, I do blend the two of them. KS: When the play began, I was wondering about what Elaine was up to – whether she was that good or that bad? That’s how good she is. The rhythm is just off and Elaine’s genius as a comic and actress is all about timing and a precise rhythm. The rhythm of this role is about being imprecise. KS: When was the last time you were onstage? JA: About five years ago back at Steppenwolf Theatre. I did this play called The Wheel. The last time on Broadway was Impressionism. That was about eight years ago. KS: Do you miss it? We miss you. JA: I am picky about any play that I do. Very, very picky. I wouldn’t do just anything, and I am lucky that I am in a position that I don’t have to. So it really has to be a play that if I am going to do it eight times a week – and I am going to do it eight times a week – I really want to have an affinity for the play and the role. KS: Did you say yes before Elaine said yes? JA: No. Elaine, Lucas, and Michael were on-board when they approached me. They had not cast David [Cromer] yet. Elaine May as Gladys, Allen as her daughter Ellen, and Lucas Hedges as Ellen’s son Daniel in Kenneth Lonergan’s “The Waverly Gallery” on Broadway at the Golden Theatre. KS: As I was watching the play last night, I kept wondering what does this play remind me of. It was almost vibrational. And then it dawned on me. It was The Treasurer at Playwrights Horizons which was directed by David Cromer and starred your ex-husband Peter Friedman. I love those heightened coincidences. JA: Exactly, exactly. It is a kind of companion piece to this. I love that play. David directed it beautifully. KS: You’re still friendly with Peter, right? JA. Very. He’s a dear friend. KS: That doesn’t always happen. JA: No. I’m very happy about that. We have one daughter. She just graduated from USC in the theatre department. JA: He did. If I miss anything in my life, it’s my hometown at times. I am very grateful that I grew up there. I mean, when I was growing up there, I thought of it as this little Podunk place. I kept saying, “It’s so flat.” It’s just cornfields and soybeans as far as you can see. It was called the “hub city” because two train lines go through it. I think you go through that typical thing when you’re in your teens and you’re in your 20s and there is that rejection of where you came from and all that stuff. But then you get older and you go, “Yeah, it’s flat, but boy the sky is so big.” And I love going back there now. My two oldest siblings still live there. I try to go back at least once a year. KS: You were voted Most Likely to Succeed in high school? JA: Yeah. The girl version. There was a boy version, too. KS: I grew up in small-town Mississippi so there was a black version and a white version. KS: But there is something about this play that is tinged with the political even though it is a deeply personal and specific story that ends around 1989. It is as if the Gladys character – who was a leftist and part of the artsy-fartsy Greenwich Village of storefront galleries and Caffe Cino – is a kind of metaphor for the passing of a certain sort of New York City – hell, a certain sort of America – that is dying off as it too goes a bit mad in the process. There is a bit of political allegory about it. Your career has had its own political tinge. You created the title character in the Pulitzer Prize- winning The Heidi Chronicles by Wendy Wasserstein which is a rather seminal feminist character in the American dramatic canon. You portrayed Pat Nixon opposite Anthony Hopkins as Richard Nixon in Oliver Stone’s Nixon for which you were Oscar nominated as Best Supporting Actress. You were nominated for an Oscar for Best Actress for your role in Rod Lurie’s The Contender, another feminist pop cultural moment. And Elizabeth Proctor in the film version of Arthur Miller’s The Crucible, another political allegory, garnered you another Oscar nomination for Best Supporting Actress. You’ve played a CIA director in the Bourne movie franchise. There are others. Do you think politics has a place in art? KS: Are you a political person? JA: Not overtly. I’m pretty close-to-the-vest about it except with really close friends. But getting back to your question about politics and art, a good story well-told is a good story well-told. That’s the bottom line for me. KS: Talk about Heidi a bit. For people who saw that, it was really a feminist moment in time and yet its recent revival didn’t quite hold up for some reason. JA: I think so. I think you’re right about it being of a moment. It was. KS: And who were you during that moment? JA: I really was just an actress who walked into getting to play this terrific role. I was just really focused on acting and my work. I just happened to do a reading of it and they put me in the play. I just remember for many, many women it was a huge deal. KS: And for guys, too. It enlightened us. When your daughter came along, did that affect how you approached your work? Allen taking a curtain call with Jeremy Irons the last time she was on Broadway in Michael Jacobs’s “Impressionism” directed by Jack O’Brien. 2009. Photograph by Walter McBride. JA: Yes. I didn’t do theatre for a very long time. For a few reasons. I was little burnt out after Burn This and Heidi. But when my daughter came – and I knew I was only going to have one child – I just thought, I can’t miss 5 p.m. to 11 p.m. every night with just one child. I don’t want to be at a theatre during those critical hours. I want to be there for dinner. I want to play with her. I want to read her to sleep. I don’t want to be away during that time. I mean, I did a lot of film where I would maybe do a film a year – or maybe one or two, Kevin – where I would be away away for a month or two. But then I would be back and I’d be there. So I thought, as a trade-off, that’s maybe not too bad. And Peter was such a wonderful father. He was there with her. And she would come and be with me sometimes when she was able to. KS: Another celebrated person from your hometown of Rochelle, Illinois, was Paul Lawrence, who was a renowned sociologist and professor at Harvard for many years. He pioneered the “contingency theory” of management which could be summed up by saying that the best way to organize depends on the nature of the environment to which the organization must relate. There is no best way to organize a corporation or to lead a company or or to make decisions. Instead, the optimal course of action is contingent upon the internal and external situation. Although this was applied to businesses, I was wondering if it could apply to your own technique as an actor. Do you have one method you apply no matter who your director is or your other actors are, or are you adaptable to whatever artistic situation in which you find yourself? Does your chameleon quality also apply to your art itself? Or is your art the environment you bring along with you? JA: I … think …. more … the …. latter …. although I keep my eyes and ears open all the time. I always wanted to learn by doing. I went to two state colleges in Illinois. Eastern Illinois University and Northern Illinois University. I could have had the opportunity to go to Northwestern potentially but one of the reasons I didn’t was that I just couldn’t make my parents pay that kind of money. I was just too conscious of not wanting them to pay that kind of money for my education. But another reason was that in a lot of those programs, you didn’t get on the main stage until you were a junior or senior. I was like, ‘Uh-uh … no …” At Eastern Illinois University in Charleston, Illinois, they basically educated people to be teachers. I got there as a freshman and they were doing One Flew Over the Cuckoo’s Nest for the fall main stage play. So I signed up to audition and it just so happened that their star actress was doing her semester of teaching – whatever that assistant teaching thing is called – and she wasn’t there. So I got cast as Nurse Ratched as a freshman. KS: I do love the image of you as an 18-year-old Nurse Ratched. JA: Me, too. I loved it. I always felt best learning by doing rather than talking about it or beating it to death or talking it through to much. I think that some part of it is mysterious and I don’t really want to know what that is. Then I had the great opportunity at Steppenwolf when I joined the company to do play after play after play after play. KS: I’ve only been to Chicago once. But when I did, I made it a point to make a pilgrimage to Steppenwolf. I saw Debra Monk in David Rabe’s Visiting Edna directed by Anna Shapiro. When anything came to New York from Steppenwolf early on, one had to see it. But there was a kind of male energy to it all. It was theatre shot through with testosterone – even though Martha Lavey ran it for several years and now Shapiro does. What was it like to be a woman there at its inception? You and Laurie Metcalfe are the two women who come to mind immediately when thinking of those early years, though there were others. JA: Well, you’re right. There weren’t as many women in the company so if we had a five-play season then I’d be in three or four of the plays. JA: Doing, exactly. I think we women in the company got to act more than the men did, for one thing. Our approach was really very basic: believe what you’re saying. As for me, I am just kind of able to pretend and believe the words that I’m saying are real. I use other actors. I look in their eyes and they give me so much. It’s like a tennis match. If someone hits the ball back to you, you hit it back to them. That old saying that acting is reacting. I love to watch what the other actors are doing and let that inform what I’m doing. KS: It’s hard to explain to civilians out there, who’ve never acted, that sense of trust you have when you’re acting that you don’t have in real life. There is a kind of safety in the parameters of the art itself within which that heightened sense of trust occurs. KS: You do all the research you need to do and then you sort of forget it all and step off the precipice and catch the wind current. You know how to step off into the void, Joan, and catch the wind current. I don’t know how you get to that step, but you certainly get there. To bring it back to The Waverly Gallery. The last part of that play is so full for you. And I assume you’re able to conjure it and be present within it eight times a week. And the last lines in the play aren’t just about struggling to hang on and to live when you’re suffering from Alzheimers. We all bring our own lives to a play, so it can be about all kinds of struggles in life. It resonates in many ways. JA: I agree. The play transcends itself. KS: I will admit that after the first act I sort of questioned if it were really any good or not. But then it really kicked in for me in the second act. That first act is just laying the groundwork. JA: It really is. It’s all about laying the groundwork. KS: “It’s all about laying the groundwork.” That’s a great way to leave this. KS: You’ve been quite kind to welcome me into your dressing room this evening before your performance. So let me get out of your way and let you prepare in whatever mysterious way you prepare each night. I don’t want to deprive the audience of what they are about to see. Thank you for this. You’re been so nice to do this. JA: It’s that good midwestern upbringing. Keep your feet on the ground. Stay grounded.